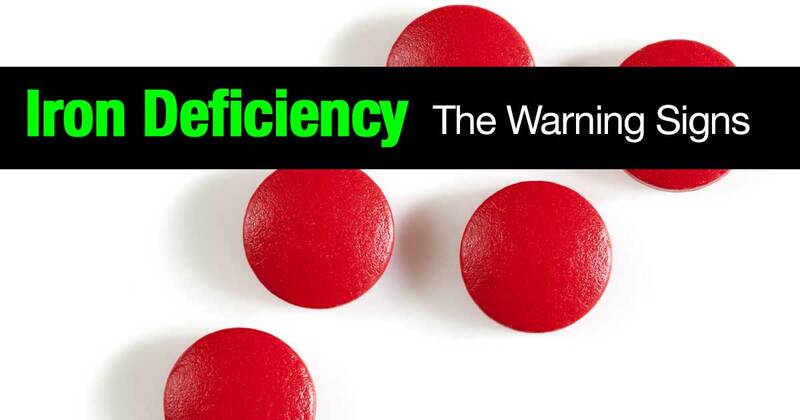 You are here: Home / 007 / 15 Warning Signs You May Have An Iron Deficiency? 15 Warning Signs You May Have An Iron Deficiency? Iron is an important dietary mineral, involved in various vital bodily functions such as the transport of oxygen in the blood. Iron deficiency is the condition that results from having low levels of iron in the body. It is one of the most widespread nutrition deficiencies. Herein are warning signs to look for that may indicate iron deficiency. Fatigue is the condition where a person constantly feels tired. It is the most common symptom of iron deficiency and it can be easily overlooked. Iron is essential for the production of hemoglobin. Hemoglobin is responsible for the transport of oxygen in the red blood cells. Lack of iron means the body has to work harder to get the energy it needs leaving you feeling exhausted and weak. At rest 20% of the oxygen you breathe goes to the brain. About 15% of the blood flow from the entire body goes to the brain. Iron deficiency reduces the effectiveness of the red blood cells to carry oxygen. Due to this, the brain ends up being deprived of vital oxygen and thus cannot function optimally, which results in difficulty concentrating. Although regular concentration lapses may indicate a deficiency of iron, it is also a common occurrence with other conditions. Iron facilitates the production of certain hormones in the body. Some of these hormones such as dopamine are responsible for the reduction of anxiety, depression and stress levels in the body. As such, easy irritability can be a sign of hormonal imbalances caused by the lack of iron in your body. These sensations commonly referred to as “pins and needles”, are caused by poor blood circulation. Iron deficiency hinders the proper function of red blood cells resulting in these sensations. They are common in body extremities such as hands and feet. This shows that enough oxygen is not reaching the further body parts. The red blood cells transport carbon dioxide and other toxic wastes out of the body tissues, in addition to transporting oxygen throughout the body. When they cannot properly perform these tasks due to iron deficiency, more waste accumulates in the body tissues resulting in frequent muscle cramps. Glossitis can be warning sign of iron deficiency in the body. Glossitis is the soreness of the tongue or inflammation of the dorsal surface of the tongue. It often leaves the tongue smooth, shiny and reddened. The tongue may swell and you may have difficulty chewing, swallowing or speaking. This can spread to the outer mouth manifesting as cracks on the side of the mouth. Moreover, a burning sensation on the tongue may also indicate a lack of iron although it is mostly associated with the burning tongue syndrome. Pica is the condition whereby a person craves nonfood items such as paper, soil, chalk or ice. The lack of iron in the body is considered a causative agent of the unorthodox condition. However, scientists are yet to figure out why exactly this happens to people when they do not get enough iron. When the brain is deprived of oxygen dizziness may result. Red blood cells need enough iron to transport much needed oxygen to the brain. Frequent dizziness spells can be a warning sign of possible iron deficiency. However, this can also be a sign of many other conditions but it is better to be safe than sorry. 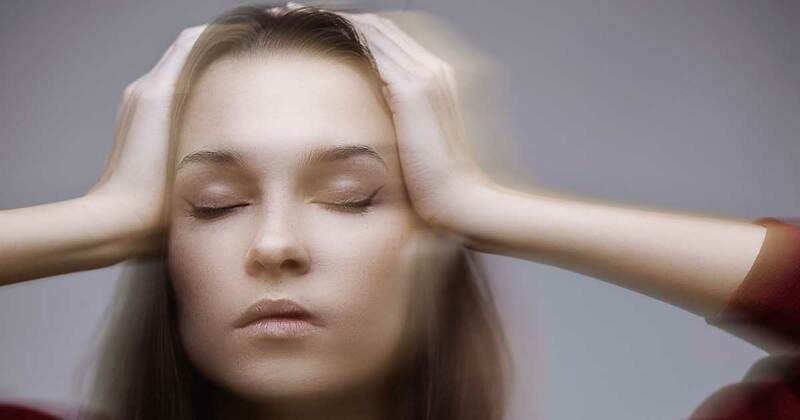 Unexplained dizziness spells should be reported to a doctor as soon as possible. Iron deficiency can present itself as declining muscle strength and stamina. Iron is vital component in the development strong muscles and tendons. Additionally, sufficient oxygenated blood may not be reaching the muscle to enable energy production due to red blood cells lacking hemoglobin. As a result, the body compensates by resorting to anaerobic methods of energy production. These reactions lead to the accumulation of toxic wastes in the muscles and are more demanding on the body. Iron is important for the proper development of healthy nail tissue. Brittle nails that easily crack from mild trauma or harsh conditions can be an indication of a lack of iron. It is important to be on the lookout for ridges that run along the fingernails as they can also be a warning sign of iron deficiency. If you do not have enough hemoglobin carrying red blood cells, the heart has to work harder to move the oxygen rich blood to body parts that need it. This often results in irregular heartbeats called arrhythmia’s. Iron is very important for a healthy immune system. This is because the red blood cells help transport oxygen to the spleen where infections are fought off. Additionally, the red blood cells also transport oxygen to the lymph nodes, which contain the white blood cells. When you have frequent infections it may mean that your body is not producing enough strong white blood cells due to lack of iron. Your hair follicles may not be getting enough oxygen subsequently getting dormant and as a result your hair falls out. If you notice excessive hair loss that does not grow back, you may be lacking iron in your body. If you experience any combinations of such symptoms it is paramount to seek medical or dietitian attention. Iron deficiency can be treated through dietary changes and prescribed iron supplements. Ignoring these warning signs can lead to more sinister conditions like Anemia.